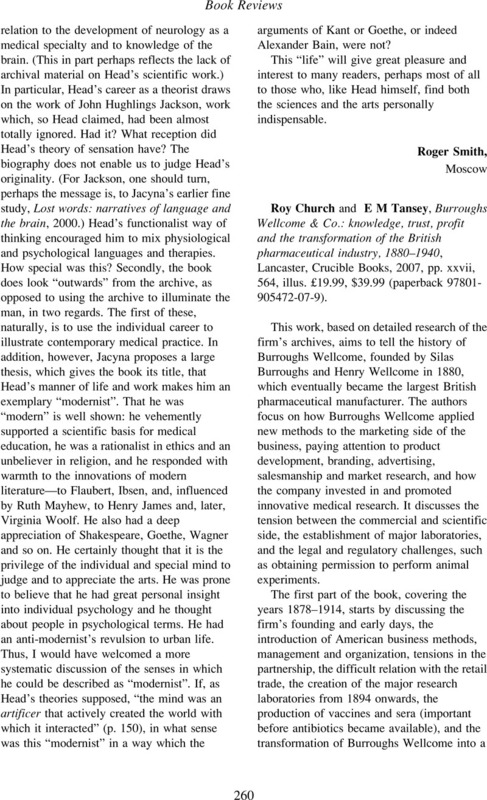 Roy Church and E M Tansey, Burroughs Wellcome & Co.: knowledge, trust, profit and the transformation of the British pharmaceutical industry, 1880–1940, Lancaster, Crucible Books, 2007, pp. xxvii, 564, illus. £19.99, $39.99 (paperback 97801-905472-07-9).